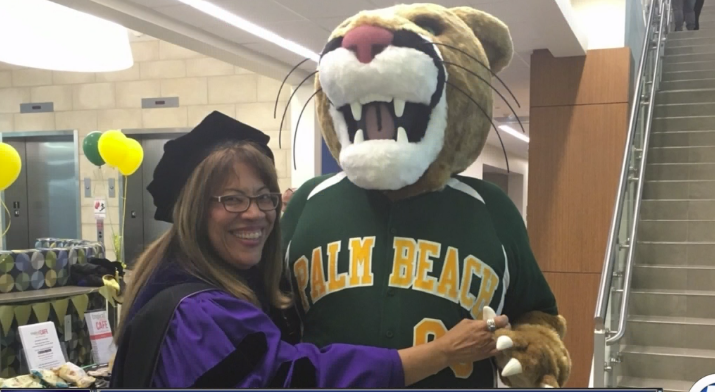 A local educator with more than 40 years of service is getting ready to retire from Palm Beach State College. PALM BEACH COUNTY, Fla. — Fatima Cajas is grateful for her mentor, Dr. Maria Vallejo. She encouraged Fatima to go to college. Fatima is glad she took her advice. "When I think of Dr. Vallejo I can say that she is my angel." When Dr. Vallejo arrived at Palm Beach State College in 1999, she quickly realized she had to make some changes. "I found out especially with the Hispanic parents there was a language barrier. And they really felt very uncomfortable coming to the college to ask for help or ask for information," she said. She implemented an outreach program. Hispanics attending the college went from 11 percent then to 31 percent now. She also started a mentoring club available to any student. "Aspira is a dropout prevention agency and it's national and it helps students to see the possibility of higher education and leadership development." There's even a scholarship in Dr. Vallejo's name. "It helps all of them. Whether they are Chinese, or whether they are Haitian or whether they are Spanish, they are all first generation." She's impacting lives like Fatima's. "She left a great legacy at Palm Beach State College." Dr. Vallejo officially retires this Friday. She plans to spend time with her grandchild and traveling with her husband.